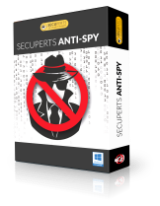 SecuPerts Anti-Spy for Windows 10 war am 6. November 2018! als Giveaway verfügbar! Keine Lust auf schnüffelnde Voreinstellungen in Windows 10? Mit dem Anti-Spy für Windows 10 schaltet ihr über 80 störende und teils sehr dreiste Spionage-Funktionen im Windows-Betriebssystem, in Browsern und Media-Playern einfach ab. Egal, wo Microsoft diese Einstellungen auch versteckt hat, der Anti-Spy gibt euch die Macht selbst zu entscheiden, welche eurer Daten auf Microsoft-Server nach Redmond wandern und was den Konzern nichts angeht. Mit nur einem Klick deaktiviert ihr über 80 voreingestellte Schnüffel-Funktionen – oder ihr lasst euch diese von Anti-Spy übersichtlich auflisten und entscheiden dann individuell. Bitte beachtet: Das Programm beinhaltet eine Jahreslizenz! Wie ein Schweizer Messer - in fast jeder Situation hilfreich - kümmert sich MyFormatConverter um eure digitalen Multimedia-Dateien: Videos, Musik und Fotos. Seid formatunabhängig und spielt eure Videos auf beliebigen Geräten! Schützt euch vor Datenverlusten und Windows-Problemen! 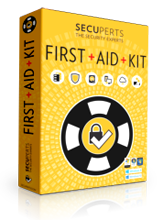 Mit SecuPerts First Aid Kit seid ihr auf jeden Notfall perfekt vorbereitet! Die Möglichkeiten der Bildbearbeitung sind mittlerweile nahezu grenzenlos – aber leider oft auch für Profis sehr kompliziert. 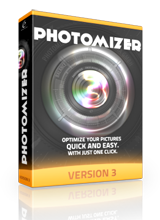 Es geht aber auch einfach und super-effizient: Mit dem Photomizer 3 kommt nun die Weiterentwicklung des Testsiegers! Mehr Funktionen, eine noch präzisere Automatik und eine schnellere Engine machen Bildbearbeitung jetzt noch viel leichter. 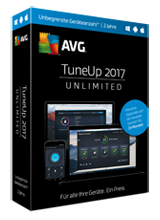 TuneUp Utilities 2017 beschert eurem PC die Topform –wie am ersten Tag! Genießt einen klaren Überblick über eure Festplatte sowie die Vorteile von über 35 nützlichen Tools. Bei mir ist die zugesandte Seriennummer auch ungültig! Was soll das? Zeugt nicht von Qualität-also behaltet das Programm doch! Seriennummer angefordert - bekommen -- UNGÜLTIG !! Programm lässt sich unter Windows 10 Enterprise 1809.17763.55 nicht freischalten !! Wenns nicht bei Win 10 geht was ist dann der Sinn ?? Was soll der Scheizz ?? Seriennummer angefordert - bekommen -- UNGÜLTIG !! Programm lässt sich unter Windows 10 Enterprise 1809.17763.55 nicht freischalten !! Wenns nicht bei Win 10 geht was ist dann der Sinn ?? Was soll der Scheizz ?? If you don't like windows 10 find another OS. Screwing around with the way it is designed to work always causes problems down the line. You will end up having to reset the OS . And don't adjust the seats and mirrors in your car, or the radio stations on your car rasio, the manufacturer knows better than you, you will void your warranties, and ruin your car. New to PERSONAL computers, [ MG ]?
. And don't adjust the seats and mirrors in your car, or the radio stations on your car rasio, the manufacturer knows better than you, you will void your warranties, and ruin your car. New to PERSONAL computers, [ MG ]? . 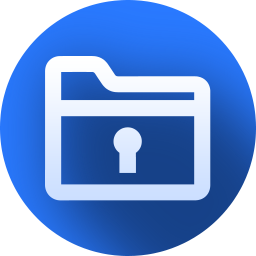 Does the world really need another 2nd-rate anti-spy software? And the developer Engelmann Software has never been known for producing quality software. Their photo enhancement software is a joke. BUT MORE IMPORTANTLY, will 'Anti-Spy for Windows 10' survive the imminent major upgrade of W10? I bet it doesn't. BESIDES ... if anybody doesn't like the 'spy' features of W10, just use W7 Pro ... because not only is W7 a more stable & static OS but it also doesn't have W10 spy features. Plus, with W7, you avoid the hassle of new W10 upgrades screwing up some of your PC's drivers and application software. AND, with W7, you avoid the bug bombs dropped by new W10 upgrades. Preston Mitchell, Don't want to be a bummer here, but they ended up pushing the Win10 tracing / spying into Win7. It's better being on Win7, but it still has lots of tracing in it. Win7 better than Win10 and Linux better than that, but true privacy doesn't exist anymore. But us that have an PC with Win 10, can't go back to Win 7, without loosing our license.. 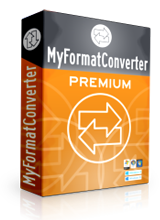 But yes, many features on Win 10 get reset almost on every update, and there is also freeware tools, that can do mostly the same, as this giveaway here..
DO you think MSFT is that naive to let you disable all those features they built in, think again. All those surface disablings are just for your ego only. Win 10 has built into the coding hard routines to stay there under different names and drivers and communicate in the background. How I know this, I installed a special net software that catches anything sent out, either from the IE or OS, the results are shocking, the traffic established between your PC and the rest of the world continues even after all disabling from many different vendors was installed and activated. If you want to be anonymous when surfing, install any distro of Linux and use it just for Internet, that way MSFT is fully disabled. For the other tusks, applications and games, use MSFT and turn off your router or the modem or unplug them with a separate switch. Do not play games online, download them and play while off line. That is the only viable alternative as far as I'm concerned. Some of you may be more creative, just do not tell me you know how to turn MSFT tracking off with software. DO you think MSFT is that naive to let you disable all those features they built in, think again. All those surface disablings are just for your ego only. Win 10 has built into the coding hard routines to stay there under different names and drivers and communicate in the background. How I know this, I installed a special net software that catches anything sent out, either from the IE or OS, the results are shocking, the traffic established between your PC and the rest of the world continues even after all disabling from many different vendors was installed and activated. If you want to be anonymous when surfing, install any distro of Linux and use it just for Internet, that way MSFT is fully disabled. For the other tusks, applications and games, use MSFT and turn off your router or the modem or unplug them with a separate switch. Do not play games online, download them and play while off line. That is the only viable alternative as far as I'm concerned. Some of you may be more creative, just do not tell me you know how to turn MSFT tracking off with software.